Your LLC is a business vehicle. 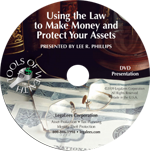 It should get you asset protection, tax benefits, and business protection. You get your articles of organization filed (some people call the operating agreement an “LLC company agreement”), and technically you have an LLC. The first thing you need to do to start a LLC is to draft your articles of organization. Pick the state you want to start a LLC company in, and go to that state’s website. It will be on the state’s website under the Secretary of State’s heading, business department, or business formation division of the state. Single member LLCs and multi member LLCs give you basically the same “corporate shield” that a corporation will. By the way, the corporate protection is exactly, identically, the same in either an S corporation or a C corporation. Do you want to “LLC Yourself “or are you wondering how to open a LLC company. I am happy to tell you. You can do it yourself. It is easy open LLC company by filing your Article of Organizations with your state and paying the fees. In fact, most states have a set of “fill in the blank” Articles of Organization available on the state website. Sounds easy, doesn’t it? Can I Form LLC Partnerships? LLC Partnerships or Partnership LLCs are misnomers. Technically an LLC (Limited Liability Company) is a company, not a partnership. While there are some similarities between a partnership and an LLC, it is important to recognize that LLCs and partnerships are two different types of business entities. LLC set up fees are dictated by the state where you are forming your LLC. In some states the LLC fees are a little as $12 and others, like California and New Jersey, the LLC fee runs nearly $1,000. There may also be some state requirements that you should ask about when you file. For instance, New York requires that you advertise in each of the big three newspapers. That adds an extra step to your LLC registration. In my 30 years as a lawyer, I’ve seen people pay LLC start up costs ranging from $50 to $25,000. The average LLC fee is about $750 today. That’s what the run of the mill boiler plate lawyer will charge. Your LLC should have a membership ledger and membership certificates, just like a corporation needs a stock ledger and stock certificates. When money is transferred into the LLC, an entry needs to be made in the ledger and a membership certificate needs to be issued. 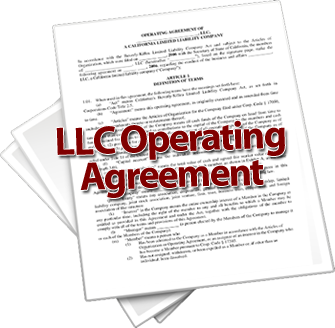 LLC and DBA stand for the words “Limited Liability Company” and “Doing Business As.” It is a legal requirement that the name of a business is the same as the person or entity who owns it. So if you own an unincorporated small business, its name for legal purposes is your name. Like wise if your unincorporated business is a partnership, the legal name should be the last names of the partners. For corporations or limited liability companies (LLCs), the legal name should be the one that the entity is registered under with the state government. lthough you can use your favorite state’s website to get your operating agreement, LLC formation requires some thinking. There are a number of “blanks” on the operating agreement form. How do you fill them out? For example, do you want your operating agreement, LLC filing, and entire structure to show a single member or multiple members? The states are starting to attack single member LLCs and remove their “charging order” protection, so how you answer this question is important.